Thursday. 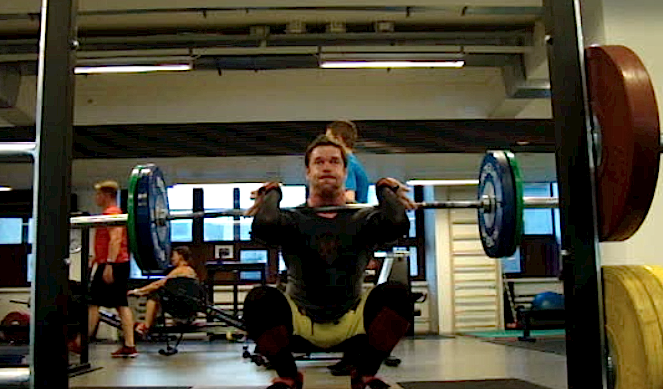 Emom x 30min: cleans @ 85kg. Today's agenda was stolen directly from weightlifting101. That is Sara Sigmundsdottir's and Björgvin Gudmundsson's coach that posts sick workouts to instagram on a daily basis of what he uses to best develop his athletes. This workout stuck to my head right away and I understood this is something I need to perform. That means to say it was 1, 2 or 3 reps depending on the minute. 1-2-3-1-2-3…etc. Last minute was max reps. 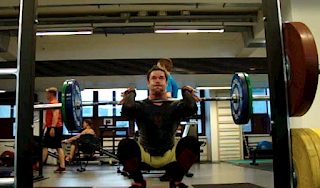 The weight was written to be 70-75% so I came up with 85kg which is pretty much 72-73% of 117kg. I'm happy on how all cleans went. On the last set that bar felt super heavy. It was a deal breaker to hold on to the barbell. Had I been allowed to drop and reset the bar I would have taken more reps than 6 on the grande finale. My legs felt super weak after the 6th lift. Maybe I was also mentally worn out at that point. There was time but I had to let go of the barbell at that stage. Great barbell workout!